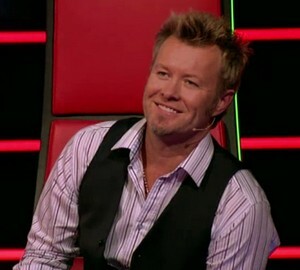 Two new duels for Magne and Martin Terefe on yesterday’s episode of The Voice. Kjell Ove Knutsen vs. Shaun Bartlett, performing “Side” by Travis. And Birgitte Einarsen vs. the duo Kristiania, performing “Suddenly I See” by KT Tunstall. Click on the links to see who Magne ended up choosing. Magne got one new talent for his team in Friday’s episode of The Voice; Kjell Ove Knudsen, who performed Coldplay’s “Fix You”. Magne now has nine talents on his team. 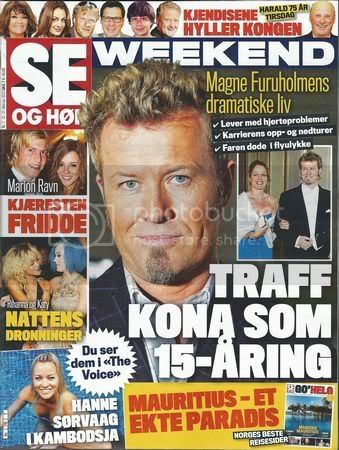 In other news, Magne is on the cover of gossip magazine Se og Hør’s weekend edition. Inside there is a 4-page article about his “dramatic life”.